Thursday the 7th February LIVE at 8pm on Spreaker All Metal Mode UK hosts Mike Haer and Dave Sadler will be speaking with Rutus Alter 71 user Tony Cawood about his time in the hobby , finds and the new version 2 of The Alter machine. The All Metal Mode UK podcast is interactive with listeners able to ask hosts and guests questions using the Spreaker comments box. The show airs LIVE every Thursday at 8pm on Spreaker or can be downloaded to listen to at a later date. 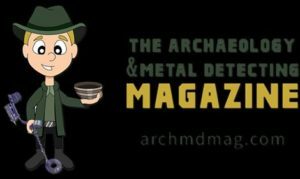 AMM UK has featured Digger Dawn, Julian Evan Hart, Gary Blackwell, Andy Sampson, Addicted to Bleeps, iDetect, Pete Turrell , Dilek Gonulay, Richard Lincoln , Mark Hambleton, Mike Smith , Dean Stainton , Gary Cook and many more well know Detectorists. The All Metal Mode UK Podcast – Come and join the biggest discussion in Detecting. CLICK IMAGE to listen to the shows archives…..